Syrian refugees demonstrate outside the Eastern Railway Station (photo: Orange Files). On August 23, 2015, Hungarian police removed 150 migrants from a train preparing to depart from the Eastern Railway Station in Budapest to Munich. Over the following 12 days, with the exception of the last day of August, the Orbán government prevented migrants from travelling to Germany via Austria. No officials from any of the three relevant states have yet revealed the reasons for this sudden change in policy after 150,000 migrants had previously been permitted to travel virtually unimpeded through Hungary on their way to Western Europe following their obligatory submission of asylum requests (see Hungary and the Great Migration). During this period, the number of refugees residing in the designated transit zone at the Eastern Railway Station grew steadily from several hundred to several thousand. Migration Aid, a private organization that began as a Facebook group in the spring, provided food, clothing, blankets, medical care and other basic assistance to the rapidly increasing number of stranded migrants. The police represented the sole presence of the Hungarian state at the station. 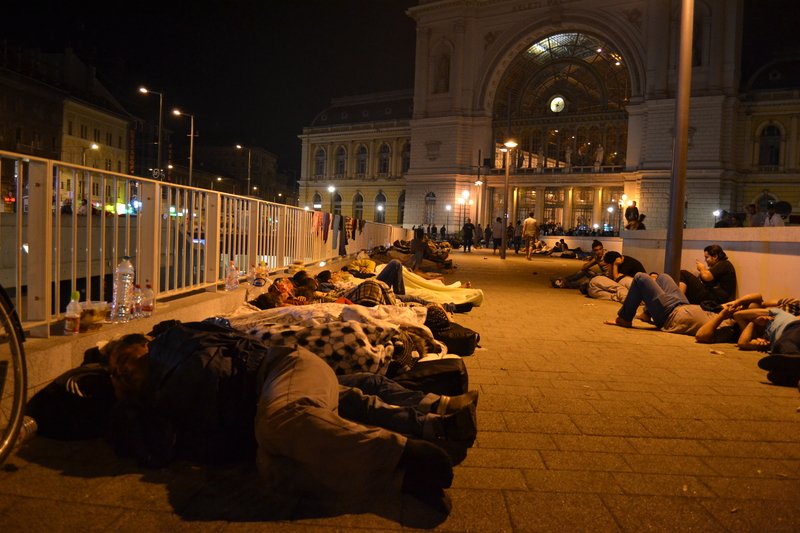 Refugees sleeping outside the Eastern Railway Station (photo: Orange Files). 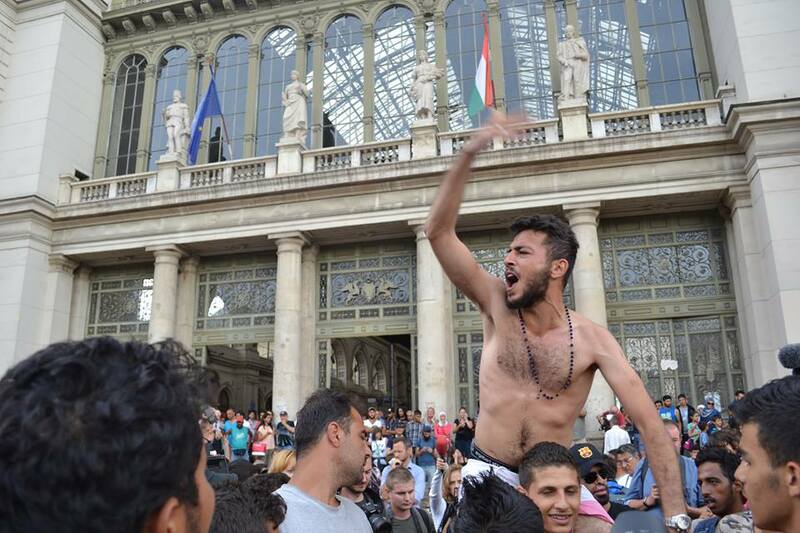 On August 29, migrants—primarily Syrians—began to protest outside the station to voice their demand that they be permitted to travel to Austria (and, subsequently, Germany). Amid the growing humanitarian crisis and increasingly frequent demonstrations, the Eastern Railway Station became the focus of intense media attention. Television crews from around the world broadcast live reports from the squalid transit zone and the square in front of the station at all hours of the day and night. On September 4, Chancellor Werner Faymann of Austria announced that following consultations with Prime Minister Orbán and Chancellor Merkel he had decided to open the border of Austria to all migrants in Hungary. In the early morning of September 5, a large convoy of Budapest city buses transported all the migrants from the Eastern Railway Station to Austria, thus ending the immediate crisis. Playing Pashto music in the transit zone. Refugees sleeping in the transit zone.